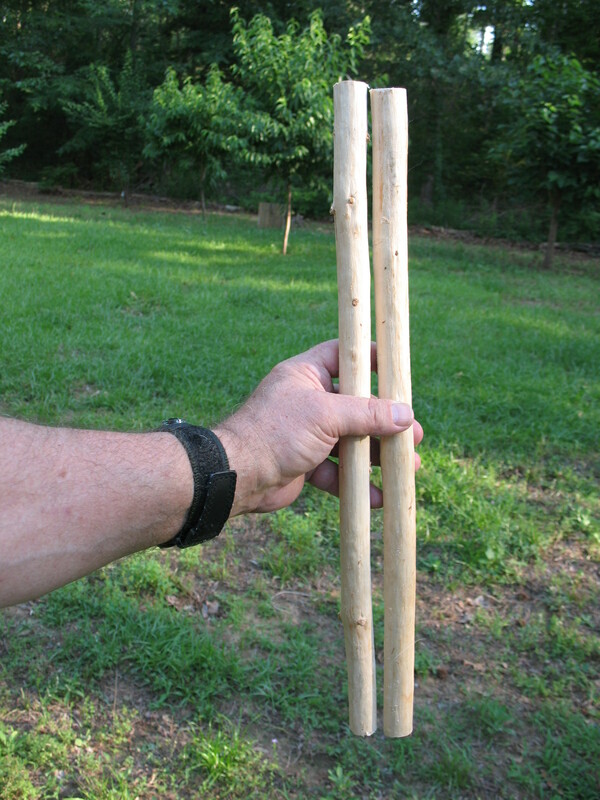 The Apache throwing star is a variation of the simple throwing stick. I don’t know if the Apaches actually made these or not, but it’s pretty simple to make and it looks like a good idea. I made one and it seems to work fine, but I have never field tested it on game. Maybe I’ll try it out next time rabbits get in the garden. Only problem is the throwing star will probably do more damage to the garden than the rabbits. Pictured below: An Apache throwing star. 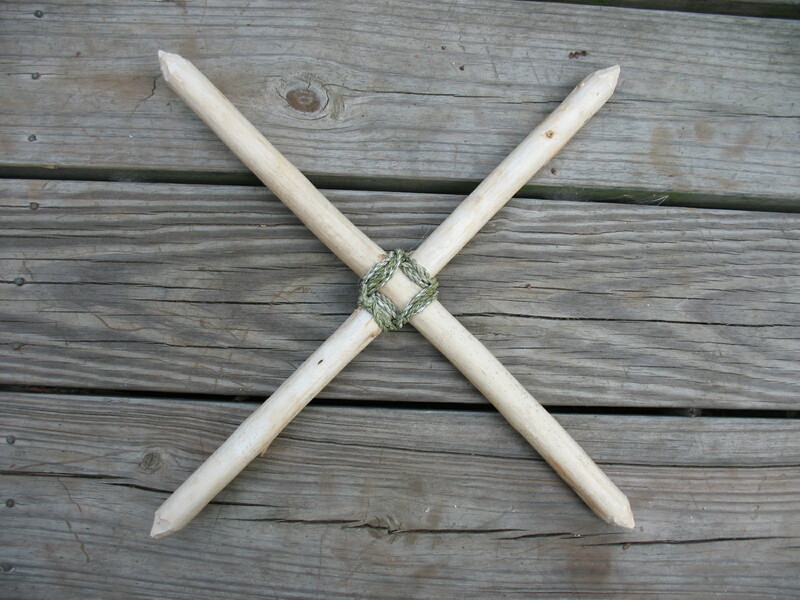 To make a throwing star you will need two straight sticks that are the same length and approximately the same diameter. I made mine with sticks that are a little smaller than regular throwing sticks. 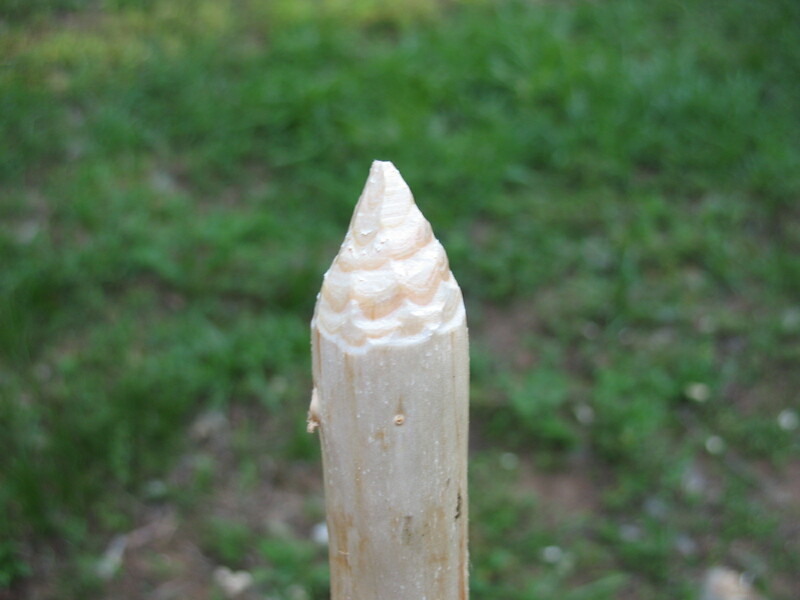 My sticks are about an inch and a quarter in diameter and about eighteen inches long. Pictured below: Two sticks cut to length. 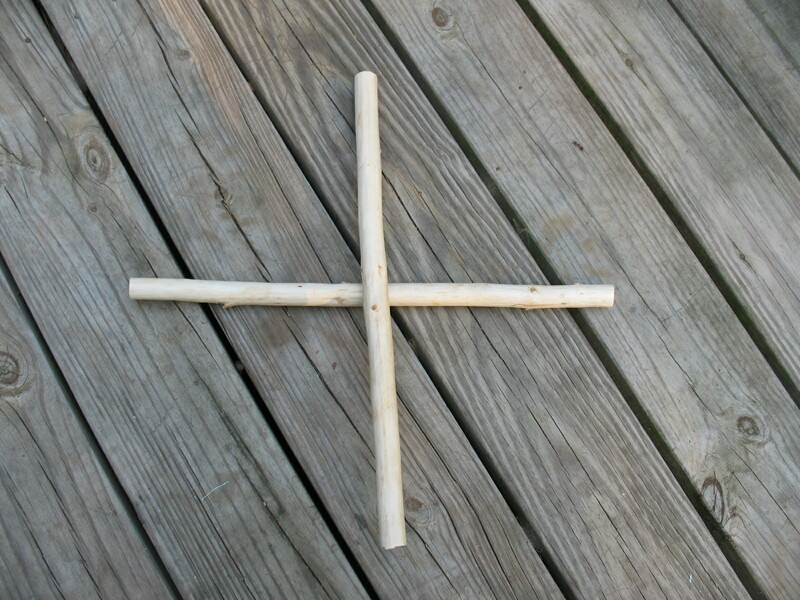 After cutting your sticks, you need to mark the middle of each stick, and lay the middles across each other at a right angle. Mark the width of each stick on the other stick. 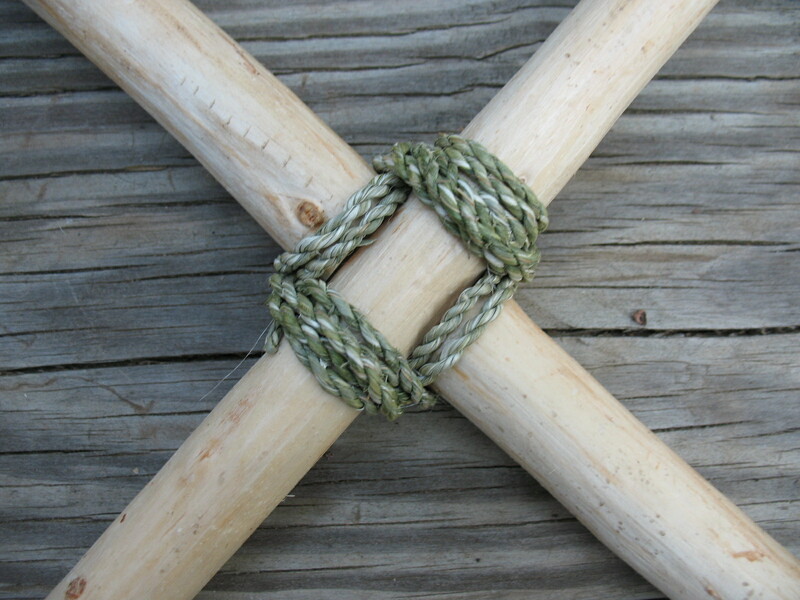 What you are going to do is cut a notch half way through each stick so that you can lock the two sticks together into a cross. I used the saw and blade on my Swiss army knife to cut and clean out the notches. Pictured below: top, sticks laid together for marking; middle, notch cut with saw blade on Swiss army knife; bottom, sticks locked together after notching them both. Once the sticks are locked together you are going to lash them tightly. 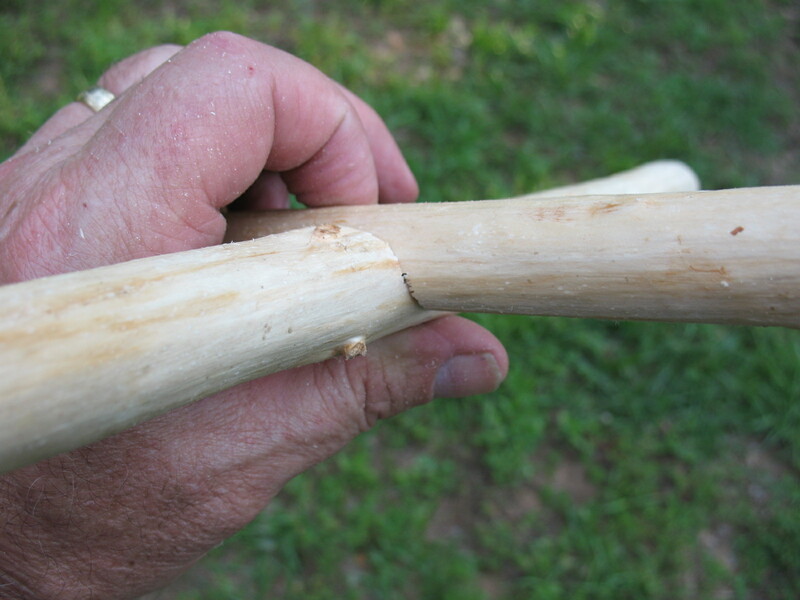 You can use rawhide or cordage to do this. I twisted up some yucca fiber cordage for my lashing. Pictured below: Sticks lashed together with yucca cordage. 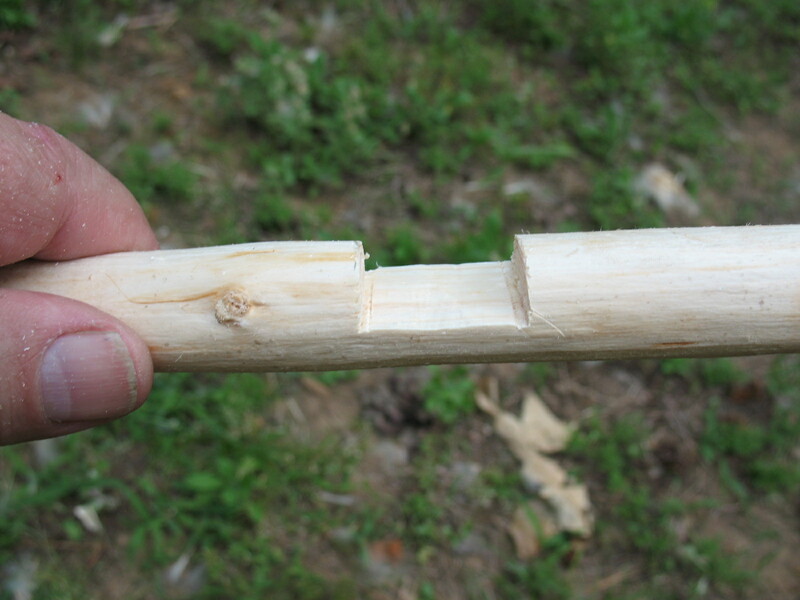 When you have lashed the sticks firmly, take your knife and sharpen a blunt point on the ends of each stick. Pictured below: Sharpened point. You’re done. All that remains is a little throwing practice.